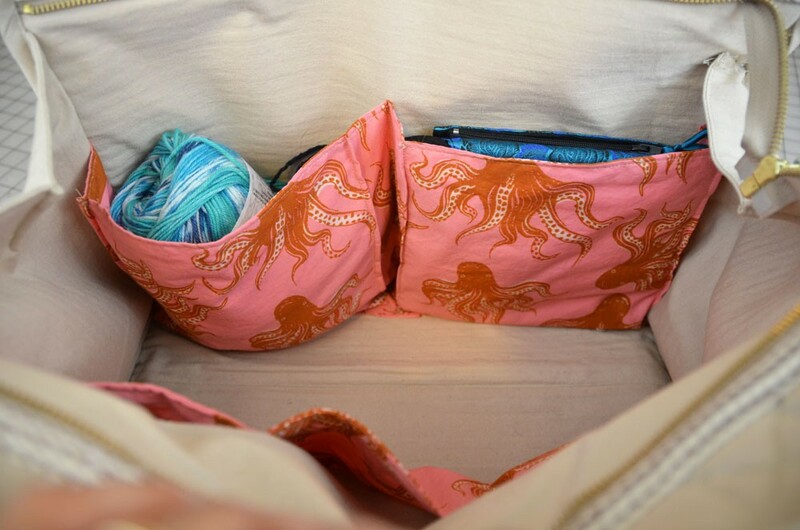 I love making bags but for some reason I don’t post my completed projects here on my blog very often, with the exception of these roll top bags I made a couple of years ago. Bags are super fun to make because they take less time to complete than most garments, there are no fitting adjustments that need to be made for it to come out “right” so satisfaction is more than likely guaranteed, you can use up scraps from your stash, and you get to work with really fun notions and hardware like D rings and swivel clips, YAAAAAAAY! 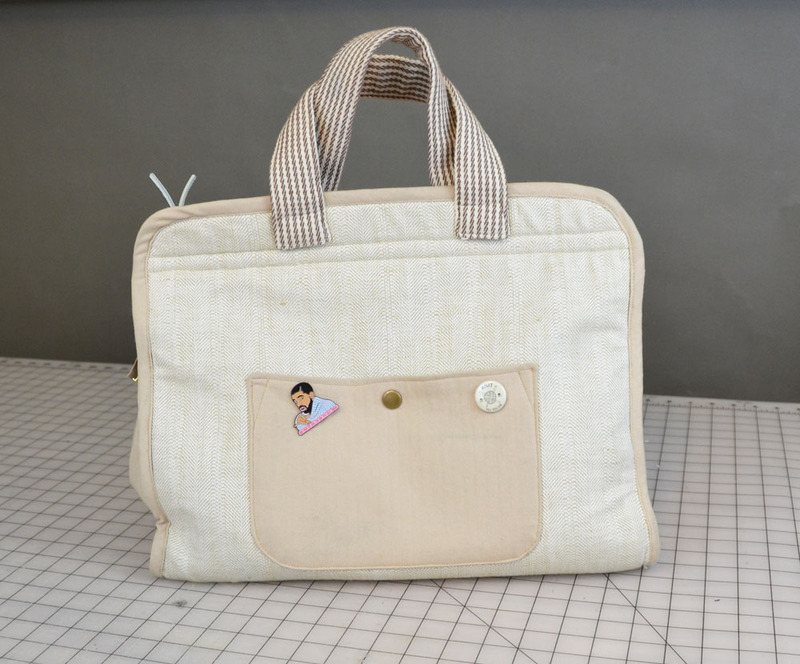 In addition, for beginner sewists, bags are great projects to help you get used to certain sewing techniques without feeling overwhelmed. Before Christmas I finished the Maker’s Tote by Noodlehead patterns to house all my in-progress knit projects, and it turned out pretty great (although I rushed through it towards the end so I could get back to my Vogue Coat and as a result, some of the finishing details are not quite as precise as I would like). I found out that in addition to being an excellent home for my craft projects, it’s also a pretty fantastic travel bag, what with all the inside pockets and roomy space inside. All it needs is an additional long strap to throw over my shoulder when running through the airport, and who knows, I might actually get around to adding that at some point. 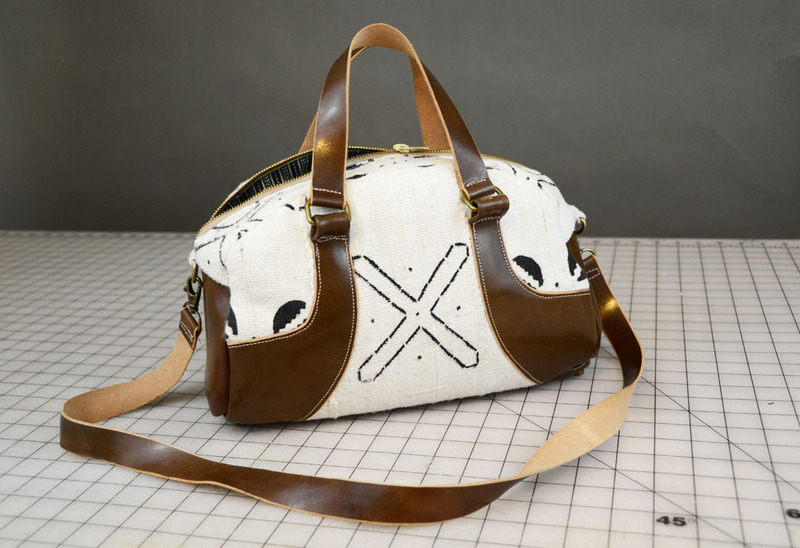 But this post isn’t really about the Maker’s Tote, it’s about the Swoon Masie Bowler Bag that I just finished. 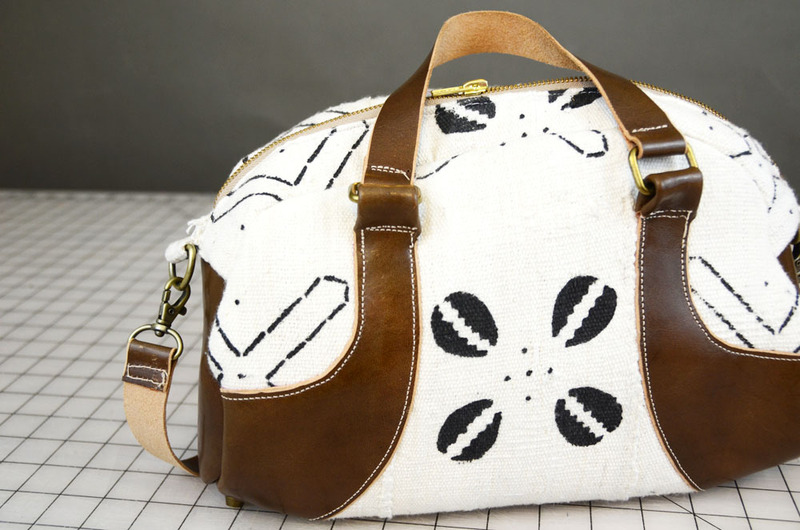 Swoon first came across my radar last year when I was looking for bag patterns to pin on my pinterest board and I discovered the Bag-Of-Month club. It’s a club that you have to buy into for a flat fee, and every two months for a year you get a new design by a reputable bag designer delivered to your inbox for a total of 6 bags. 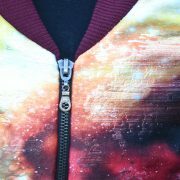 You don’t know what the designs will be before you buy in to the club, and the patterns are not available for individual purchase until after the pattern has been released to the club members. 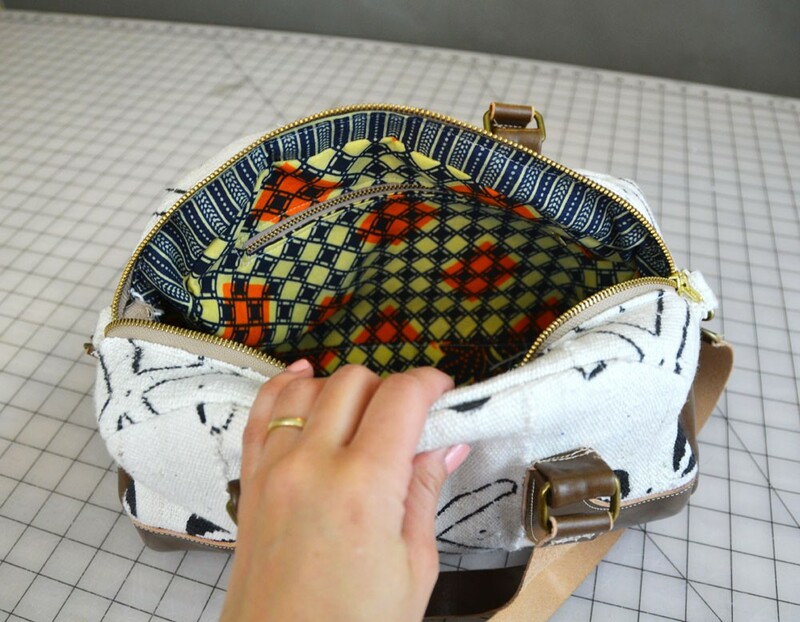 This is such a fun idea for people who LOVE sewing up bags (or who love hoarding patterns, or both). The patterns range from really excellent and innovative designs to run-of-the-mill plain totes (easy construction) with embellishments on them, and even though I am not the right demographic for the club since I only make a couple of bags a year, it’s been fun to check in with the club online and see which patterns have been released and what people have made with them. 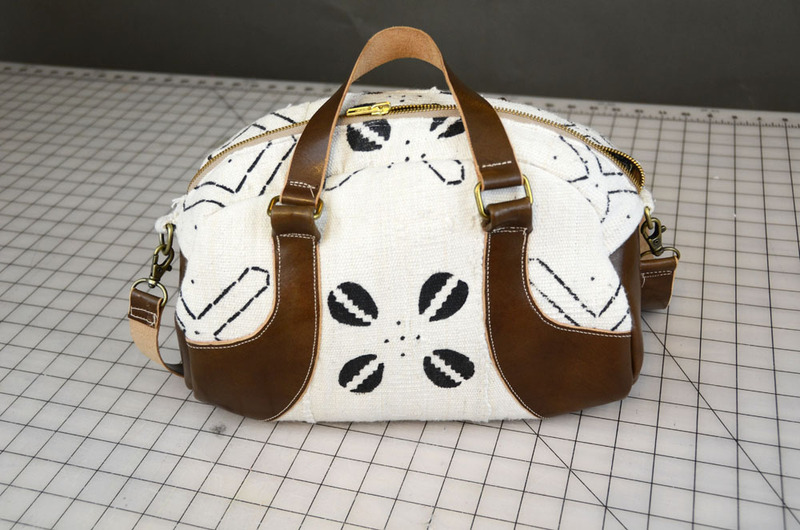 Swoon is one of the better designed brands that participates in the club and I finally purchased their Masie Bowler bag pattern after oohing and ahhing over it for months (I’m pretty sure that this other bag of theirs will also be in my future- I am so in love with their clever use of fabric choice)! I purchased the pattern with absolutely no vision of what my completed bag would look like until a couple of months later. On a trip to Michael Levine’s where I was hunting for fabric for a gift for my sister-in-law, I came across a display of beautiful hand woven mudcloth. I have always loved mudcloth but I had never seen any in stores for purchase before. It was so hard to choose a fabric; each was so simple but so well designed, and they were sold by the piece as opposed to by the yard. 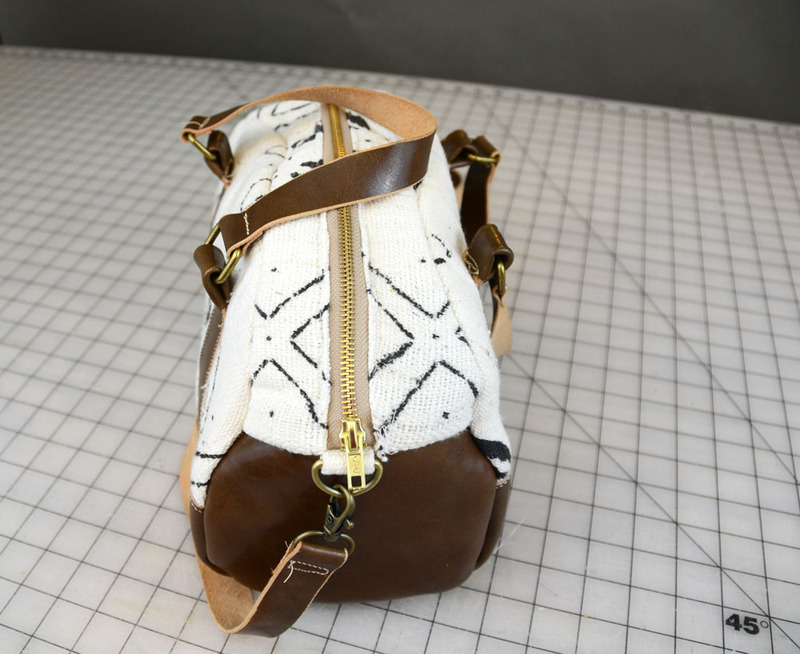 Ultimately I chose one with a larger print (I really like the way large prints look on smaller items) and I am really happy with the layout- I made sure to highlight a different part of the pattern on each side of my bag. With bag making you have a lot of room for design choices and mixing different kinds of textures and fabrics together, and I wanted the mudcloth on my bag to be the highlight of the piece so I ignored the recommended contrast fabric suggestions in the pattern and used mudcloth for the exterior main, upper panel and gusset pieces. I also decided not to use woven fabric or vinyl for my contrast pieces and instead used leather from a big piece I bought from The Fabric Store about a year ago. It is so beautiful and although I use it sparingly, it has gone a long way- I used it for the wallet I made for Claire in addition to straps and bottom pieces for a few other accessories I have worked on over the past year (when I find the right pair of flat lasts I am going to use the rest of it for a pair of shoes). I really love working with leather but I am going to start keeping my eyes out for used leather clothing so that I can up-cycle the material instead of buying new pieces of it. Anyways, using leather really upped the sophistication of this bag, but as you can imagine it was a real %#&(&*&$ to sew! There are a few things I could have done to make this a bit easier, namely skive the seam allowances of all the leather pieces making them thinner and therefore much easier to manipulate. But hindsight is 20/20 and by the time I realized that skiving would be a good idea, all my leather pieces were basted to their Soft n’Stable counterparts already. And I was too lazy to take them apart. Let’s be honest, my laziness is almost ALWAYS the main culprit in situations like these. As a result, sewing the corners of the bag turned out to be QUITE A FEAT, because I had to contend with curves and three layers of leather. And for the record, sewing the corners of bags is always a trying thing to do whether you use leather or not- it takes a surprising amount of upper body strength to maneuver all those layers and whenever I finish a bag I find myself feeling a little sorer in my arms and neck than usual. 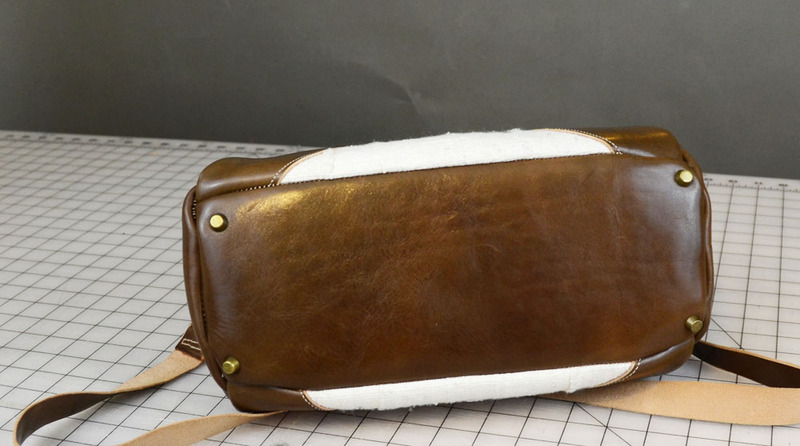 Skiving my leather would not only have helped ease the difficulty in sewing the thick pieces together, but it would have also helped the finished bag sit better. With leather as thick as this, you can’t really “press” seams in any direction, you can just gently hammer them down with a rubber mallet and hope for the best. If my edges had been thinner, they would have settled into their curved shapes a more easily. As it stand, the leather seams of my bag are very “thick”, and they don’t really flatten out very well on the sides or bottom. I’m okay with it though- I know now how to make it work better next time and Claire has assured me that this bag is still impressive (her exact words were “you could sell this in a shop and people would but it!” lol). The instructions for this bag are excellent and I didn’t find one mistake or typo in the whole thing, but they do not take into consideration the option of using leather (maybe the designer is vegan?) so I had to figure out a lot of things on my own and make mods for the differences in my material- not a big deal, just an important thing to note. Namely I had to forgo the side pockets on the outside of the bag- 5 layers of leather plus Soft and Stable would have been too much fabric for my machine to accurately sew through. I also needed to change the way I made the handles and strap. Instead of folding the edges towards the middle and top stitching the edges , I just cut out leather in the dimensions for the final pieces because I knew the leather would be strong enough. After using the bag for a full day, I realized that, though the leather was strong enough on it’s own, normal wear would distort the shape of the straps over time, so I have since added a backing to both the shoulder and hand straps and they are much sturdier now- everything looks the same except the straps have the deep brown leather on both sides. For my lining fabric, I used a beautiful Ankara print that I found on my fabric buying spree with Marcy and Renee last summer. I don’t remember where we got this fabric from- it was one of those random spots in the fashion district with lots of sequined laces in the store windows. I would never have thought to stop inside if Marcy had not steered us in there, but she is an amazing fabric tour guide! The guy inside gave me a kind of pervy vibe and was DROOLING over poor Marcy, who was able to maintain a perfectly friendly smile on her face for as long as it took me to find what I wanted and get a good deal. That girl is a GEM, I tell ya! I have a lot of this fabric left over and I think I might make either a tea length dirndl or pleated skirt from it. I love the image of this woman’s face peeking out of my bag and would love even more to have her adorning my legs as I swish around this city. I didn’t add much to this bag that wasn’t in the design already except for these purse feet, which I love!!!! I wish I had been doing this on all my bags that I have made, so I am telling YOU to add them on all of yours so you don’t have to miss out. 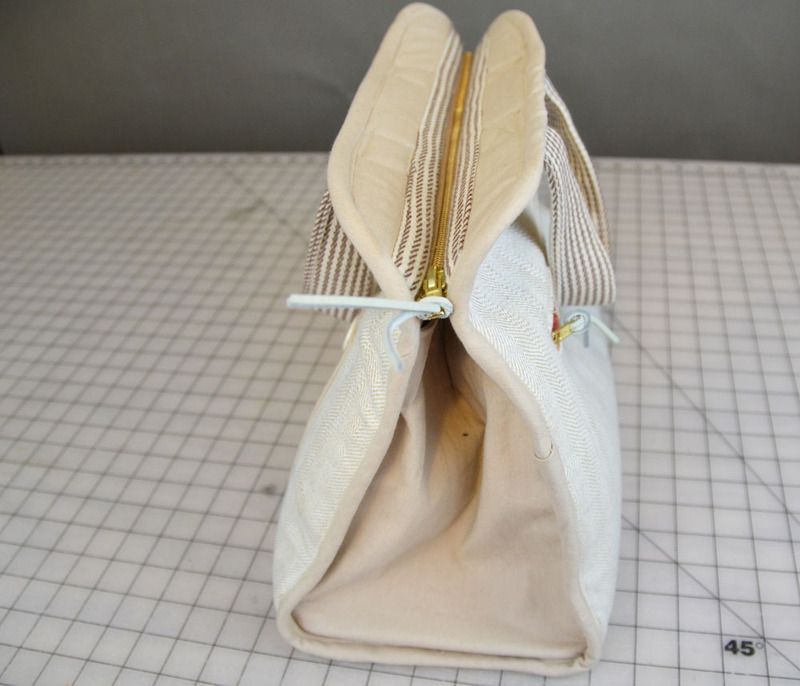 Ok, back to what I left off: in addition to leaving off the side pockets, I also decided to leave off the top stitching and the piping embellishments on the outside edges of the bag, which is a shame because I really love the way the piping looks. But I knew that the additional piping fabric and top stitches would make sewing the leather pieces even more difficult, and I also thought that design-wise, piping might add too much fussiness to the look. 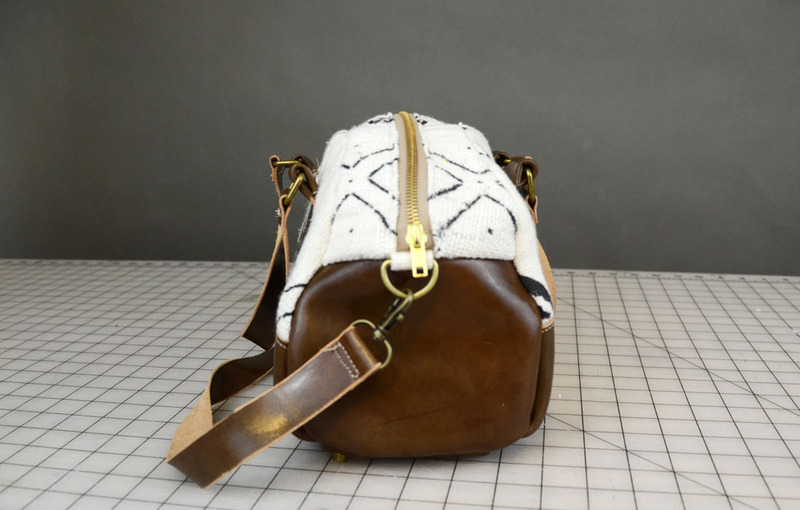 I love the way this bag looks so I don’t regret any of my editing choices, but I would love to make a future bag in all woven fabric so that I can add all the cool little embellishments that I missed out on. This bag didn’t take too long to make and I am really happy with it, warts, wonky stitching and all ! Aside from making smarter choices when working with my leather so that the bag would hold it’s shape better, I wouldn’t change anything at all about it and it’s such a good size for me! I rarely leave the house with more than a wallet, phone, keys and sunglasses, and this housed all of the above today when I used it for the first time, in addition to some sides and some junk mail. Oh, and my iPad. Oh, and snacks! Damn, this bag fit a lot into it now that I think about it- I love it even more now. I appreciate that the design has a shoulder strap in addition to handles because I use both of them to carry my bags around pretty regularly. This bag takes up a very small amount of fabric so I still have quite a bit of mudcloth left over. Not entirely sure what I am gonna make with it, but an obvious choice are throw pillows, either for myself or as a gift. I’ll try and remember to share whatever becomes of the remaining fabric here on the blog or on instagram! I LOVE the face. I have no recollection of this fabric as I was watching the guy fondle Marcy’s hair. I didn’t know you were a bag maker too! I know you don’t stash fabric. 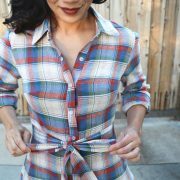 But, do you stash patterns? 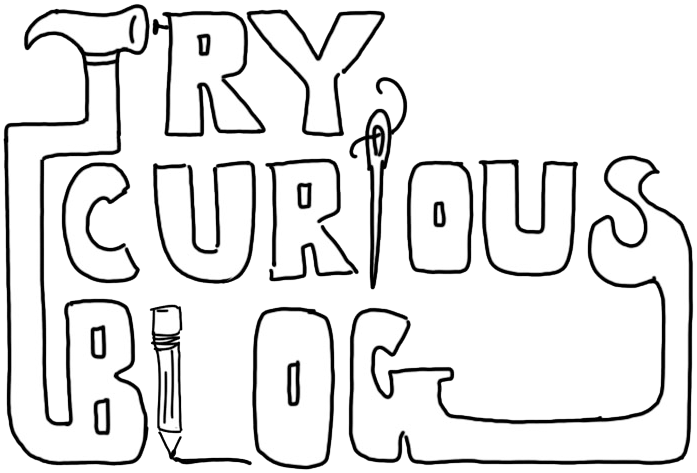 Have you tried Amy Butler? 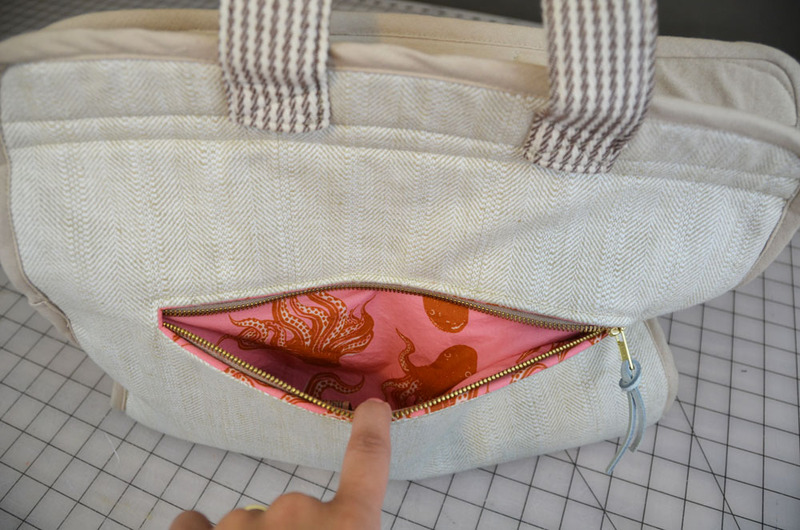 The Weekender Bag was the last time I sewed a bag. HAHAHAHA @ watching the guy fondle Marcy’s hair!!! RIGHT?!?!? We had so many things to talk about that day that we never even discussed that borderline harassment she had to endure, but we put it on the agenda for the next time we all hang out! I totally make bags, not very regularly, and usually for other people (I think I made three versions of Taylor Tailor’s Desmond roll top backpack as gifts last year) but I think they are super fun, and I have a cute makeup bag from a pattern I found on etsy that I need to get done soon, too. 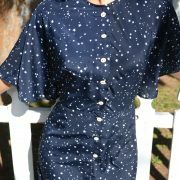 I’ve never tried an Amy Butler pattern- I’m not sure if it’s because of the fabric choices or the actual designs but they always seem so frilly and busy that I can never get past the photos to get a better look at the construction elements! 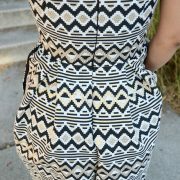 i was going to say, for real, how much perv blocking was i doing in order to miss this awesome print?! then i read renee’s comment . . he was in my hair?! APPARENTLY I BLOCKED IT OUT. this bag has me going down all sorts of rabbitholes! 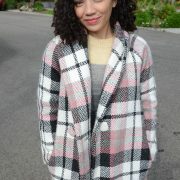 so freaking gorgeous! That bag is just amazing!!! I can’t get enough of looking at all the thoughtful detail – and the face of course is the icing on the cake – my god, I would go and buy that bag!! I haven’t made a bag since I was 19 (that was more than 40 years ago I might add!) but I was SO proud it of it when it was done – in fact I still have it! It’s stores all my childhood makes that my mother held onto for YEARS. Seeing your bag is truly inspiring and has given me some serious nudging. 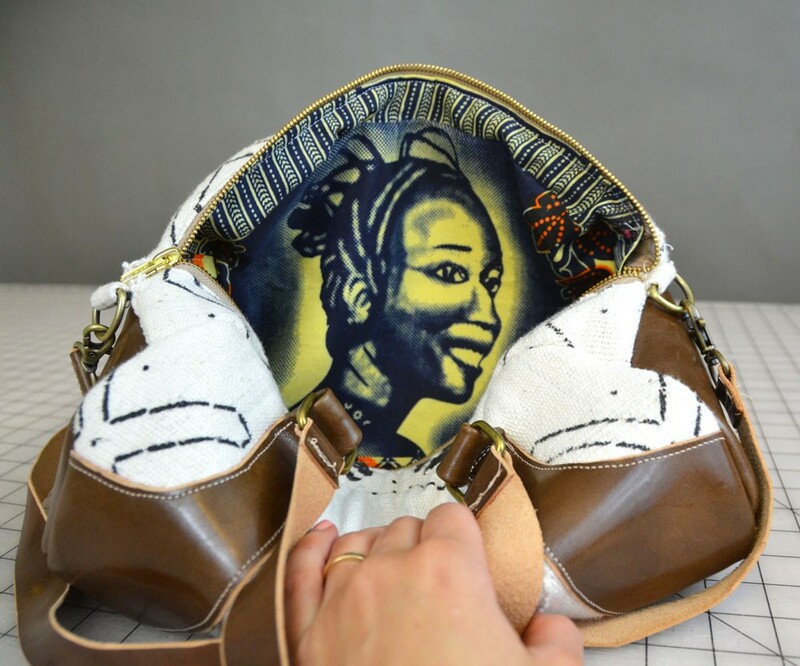 I LOVE your bag and am feeling quite awed by sewing all that leather to mudcloth! Honestly you should be really proud. 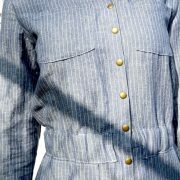 It’s gorgeous and the lining! WOW.